Design: Curved mouthpiece with two joints and upward-curved piece in center. The Myler Correctional 47HP mouthpiece allows the driver to reward the horse with a "comfort zone" when relaxed at the poll. 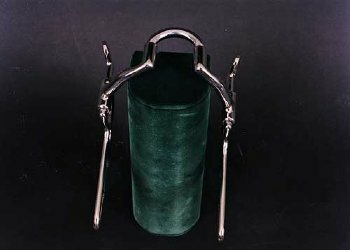 This bit is good for collection and stopping and works well on spoiled horses and horses that run through or put their tongue over the bite. Also available with bushing.